Heat keto fat over medium heat in skillet, add mushrooms and asparagus, saute for 10 min or until mushrooms are golden and cooked. Season with salt and pepper. Make boiled eggs to your liking soft boils or hard-boiled. Make Chimichurri by putting ingredients in blender and puree till smooth. 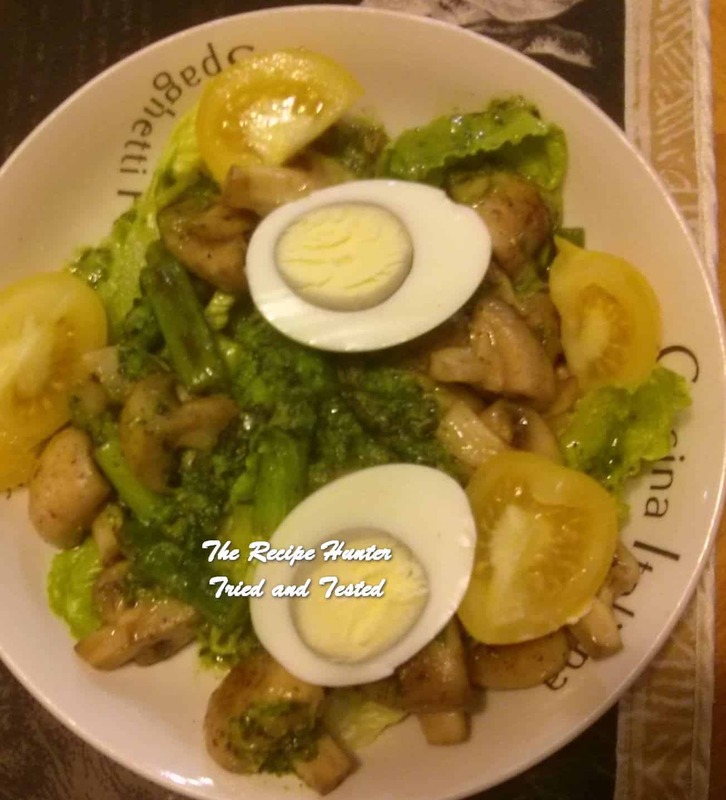 Put mushrooms and asparagus on platter or individual plates. Slice eggs and place over mushrooms, drizzle Chimichurri over and enjoy. Garnish with extra basil and add a few sliced tomatoes quarters if desired.